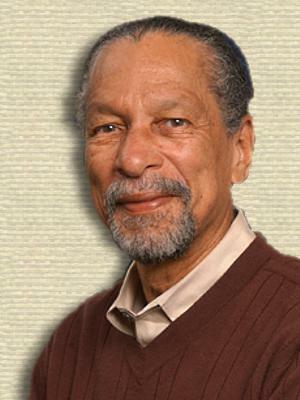 Black-American physicist, acoustical engineer and inventor who developed the electret transducer technology and applied it to invent the foil electret microphone. Because of the benefits of low-cost and a compact form, this type of microphone predominates in most devices. I discovered that Johns Hopkins [University] was a lot like Bell Labs, where the doors were always open and we were free to collaborate with researchers in other disciplines. I like the fact that I won’t be locked into one small niche here. Quoted in Johns Hopkins University News Release (9 Jan 2003) after he retired from Bell Labs and joined the faculty in Fall 2002. On jh.edu web site. I think I’ve had more failures than successes, but I don’t see the failures as mistakes because I always learned something from those experiences. I see them as having not achieved the initial goal, nothing more than that. If I had a screwdriver and a pair of pliers, anything that could be opened was in danger. I had this need to know what was inside. Concerning his curiosity for electrical devices which began as a child. Quoted in Timothy L. O’Brien, 'Not Invented here: Are U.S. Innovators Losing Their Competitive Edge? ', New York Times (13 Nov 2005), B6. If I’m concerned about what an electron does in an amorphous mass then I become an electron. I try to have that picture in my mind and to behave like an electron, looking at the problem in all its dimensions and scales. In those days in the South, the only professional jobs that seemed to be open to a black man were a teacher, a preacher, a doctor or a lawyer. About his youth. Quoted in Johns Hopkins University News Release (9 Jan 2003) on jh.edu web site. Inventing is the intellectual bicycle that he rides each day. Reported without quotation marks, describing James West, by Timothy L. O’Brien, in 'Not Invented here: Are U.S. Innovators Losing Their Competitive Edge? ', New York Times (13 Nov 2005), B6. My hobby is my work. I have the best of both worlds because I love what I do. Do I ever get tired of it? Not so far. Quoted in Johns Hopkins University News Release (9 Jan 2003) on jh.edu web site. 10 Feb - short biography, births, deaths and events on date of West's birth.